Back in February, a team of Sparkfunions were in Cambridge with the Artisan’s Asylum to participate in the Make a Makerspace conference. 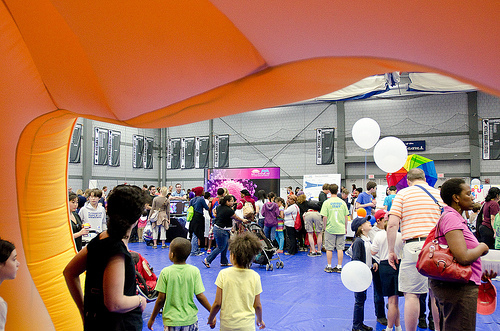 We’re excited to be returning to Massachusetts and be a part of the week-long festivities at the Cambridge Science Festival! A view from last year's festival. And as a BONUS - we will have a small on-site challenge and an opportunity to win a prize! It’s a secret, though - so, you’ll have to come see our table to find out! The science carnival will just kick-start our events for the week. We will be holding two workshops sharing space with our friends at Artisan’s Asylum and at NuVu Studio. Whether you’re a pro or never touched a soldering iron, come and play with us! 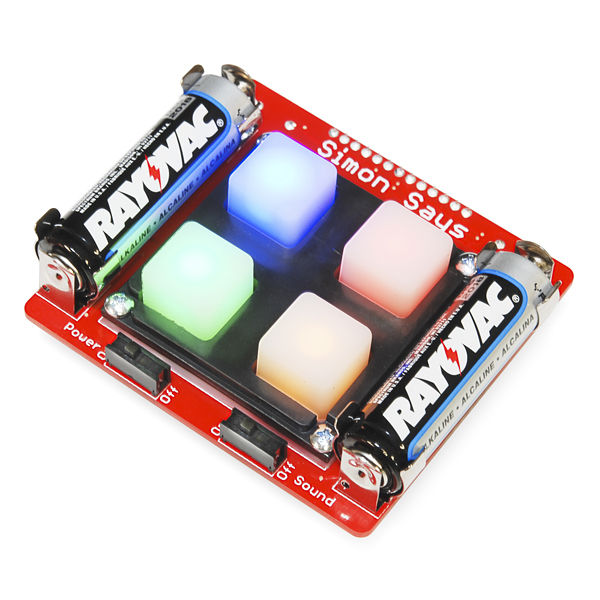 We’ll be running a Soldering Workshop with our popular Simon Says kit. Our class will run from 1:00 p.m. - 4:00 p.m. at the Artisan’s Asylum on Sunday, April 14th in conjunction with their Open House event. The cost is free, but please pre-register here to give us an idea of how many people to expect! Once you have a functioning Simon kit, we'll take a look at what it can do! Come and learn how to Hack Your Simon using Arduino and create your own laser light show and musical synthesizer. Again, the class is free to attend, but please pre-register here to give us an idea of how many to expect. So - that’s it! We’re pumped to be coming back to Cambridge, and we hope to see you there! Looking forward to the Cambridge Science Festival and the Sparkfun events. Already have my tickets! Are you guys going to add a second session to the hacking simon class as you did with the soldering class? SXRguyinMA - We were able to open up more seats for the soldering class with the help of our friends at Artisan's Asylum. Unfortunately, the hacking the Simon class requires more time to complete. Depending on who shows up, we will open the class up to drop-ins, if we are able to fit people in.